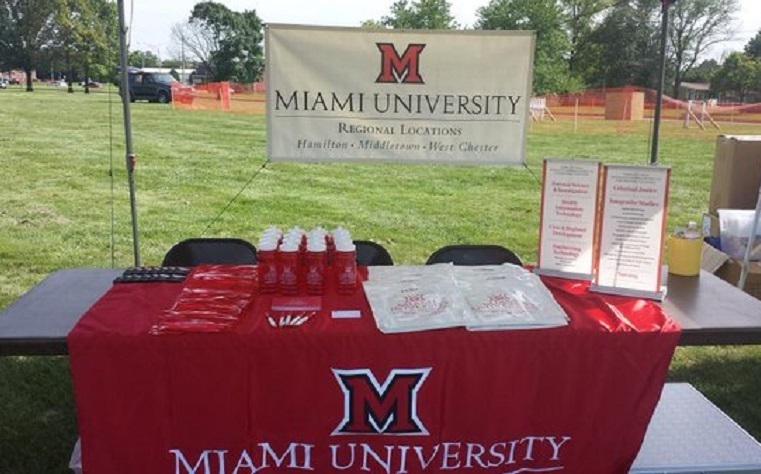 Miami University Regionals’ Middletown campus will begin celebrating its 50th anniversary with a Kick-Off Celebration located in the campus quad on Saturday. On Sept. 5, 1966, the campus held its first all-day classes. The kickoff event includes a remote broadcast from K 99.1’s Frye Guy, live music, free kid zone, food trucks, a rock wall, air brush tattoos, a Euro bungee, and an inflatable slide. The live music will be from WingWalkers, with their improvisational blues, folk, and jazz style. Tim Shelton and Clay Hess will take the stage next. Then there will be a ceremony about the 50th anniversary year, including donations to a time capsule that the campus will seal until 2066. The event will include a videographer who will record the memories of Middletown from people interested in being in the movie. "We invite each and every one of you to join us in celebrating 50 years at Miami Middletown,” Cathy Bishop-Clark, interim associate provost and Miami Regionals dean, said. “This is a special place, and it has touched and improved thousands of lives – including my own. Miami Regionals is at a unique place. We commemorate the last 50 and look forward to an exciting future."